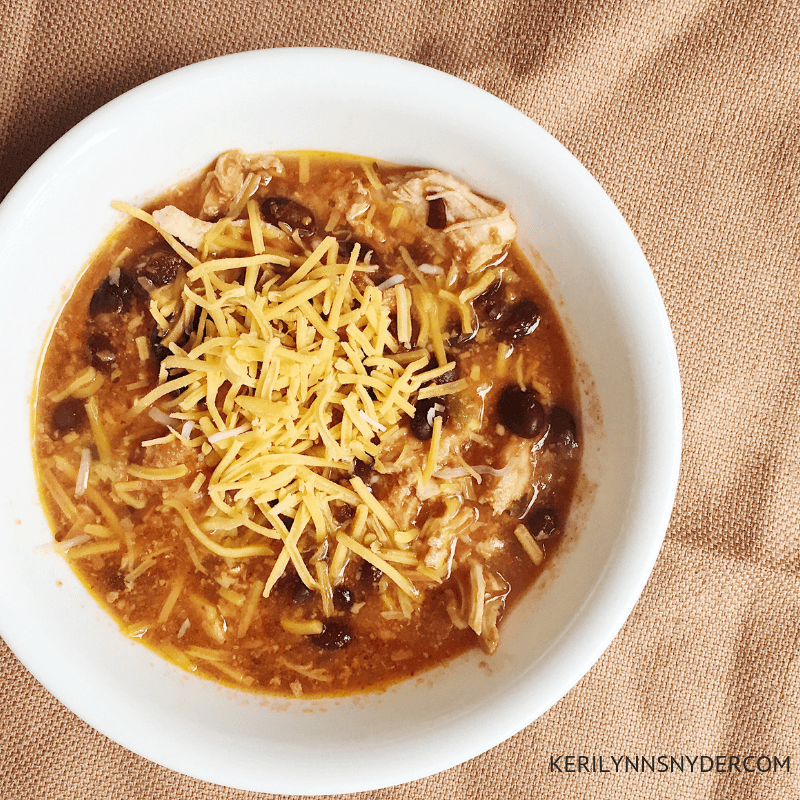 Easy crock pot black bean chicken chili! Perfect for fall and winter days. 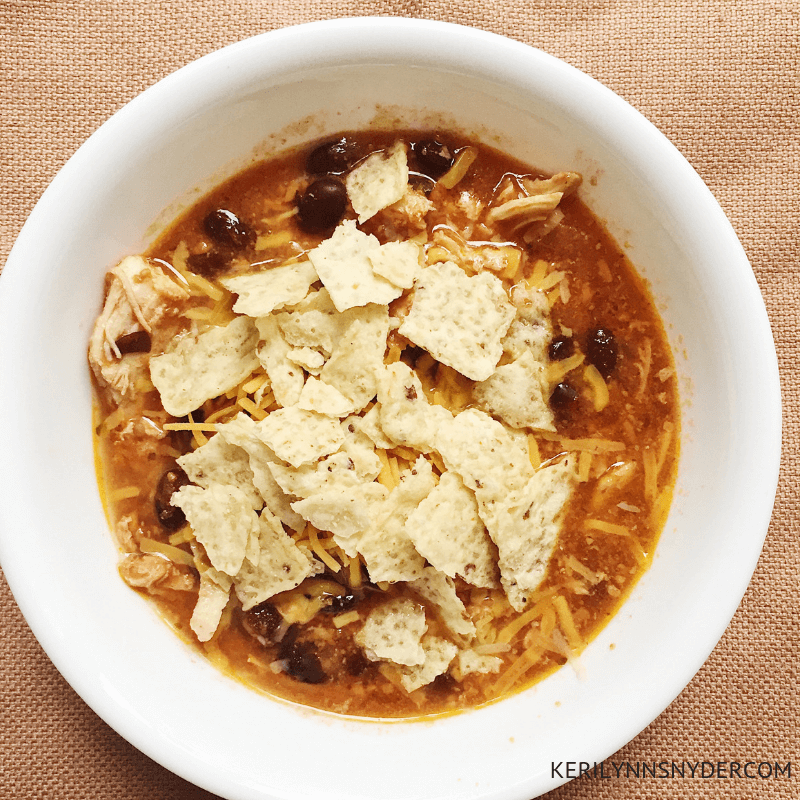 This crock pot black bean chicken chili is one of my favorite recipes. 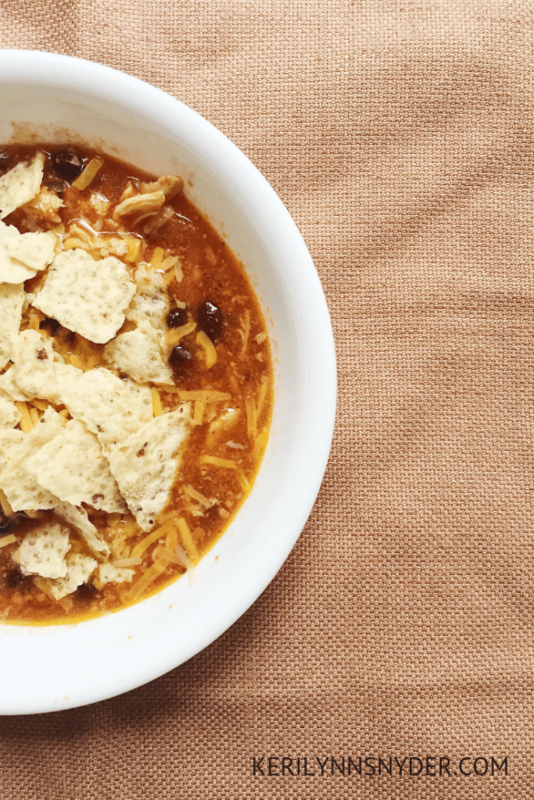 With the beginning of fall, I like to add in more soups and chili to our regular meal plan. Of course, it currently still feels like summer in South Carolina, but that does not stop me from getting into the fall mood. We made this black bean chicken chili last Sunday and it was perfect as the sky was overcast and football was on the television. This recipe is perfect for busy families and for having company over. It includes all of the makings of a taco but in chili form! Even my kids like this meal- which says a lot! After church, I dumped everything into our crock pot and turned it on. That was it. Super simple and perfect for our relaxing Sunday afternoon. Moms, I highly recommend using all of the crock pot recipes you can find because these are lifesavers. Add all ingredients minus the toppings to the crock pot. Cook on high for 4 hours or low for 8 hours. Shred chicken breast with a fork before serving. Ta-da, your black bean chicken chili is finished! Serve with shredded cheese, tortilla chips, and sour cream! 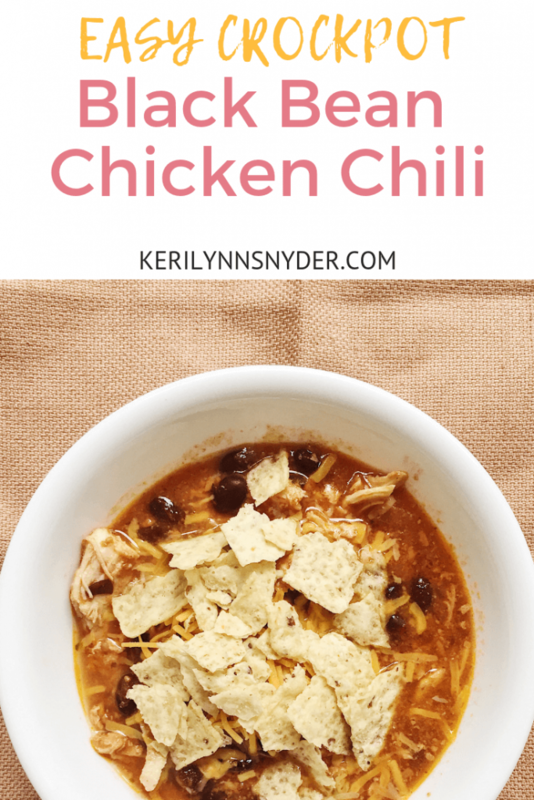 This chili is sure to be a favorite addition to your fall and winter meals. We love to have a salad with it and chips, guacamole, and salsa. It is a fun way to add a little twist to the classic chili. Love this recipe? Pin the image below and save for later!